Power Supply: Rechargeable battery. 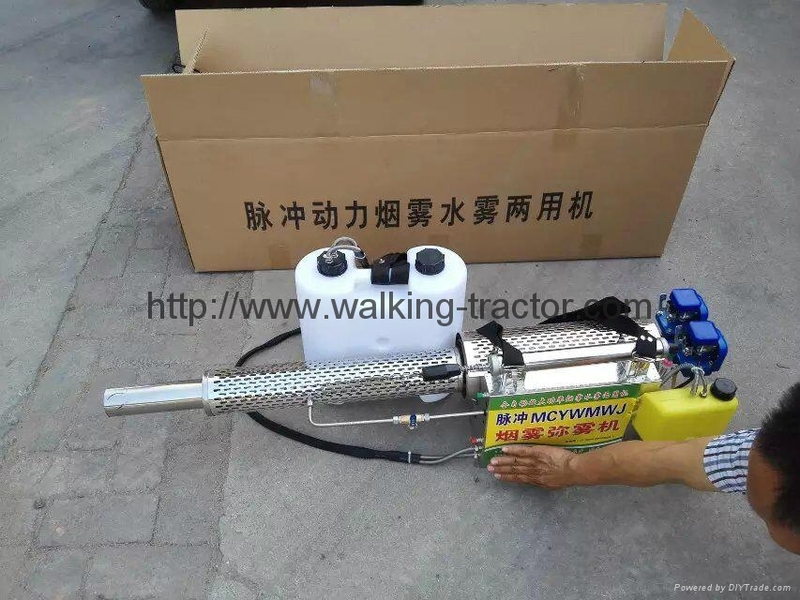 FEATURE: Hot smoke machine selection of quality raw materials manufacturing, energy economy, and efficient work, will reduce the use of pesticides to a minimum, thus avoiding drug residues in the role of the ecological damage to the environment, thus saving the cost of medication. Hot smoke machine smoke emitted particle size is small, penetrating strong, diffuse, attachment, good rainfall and strong resistance of pests and pathogens, with a rapid knockdown and kill effect. 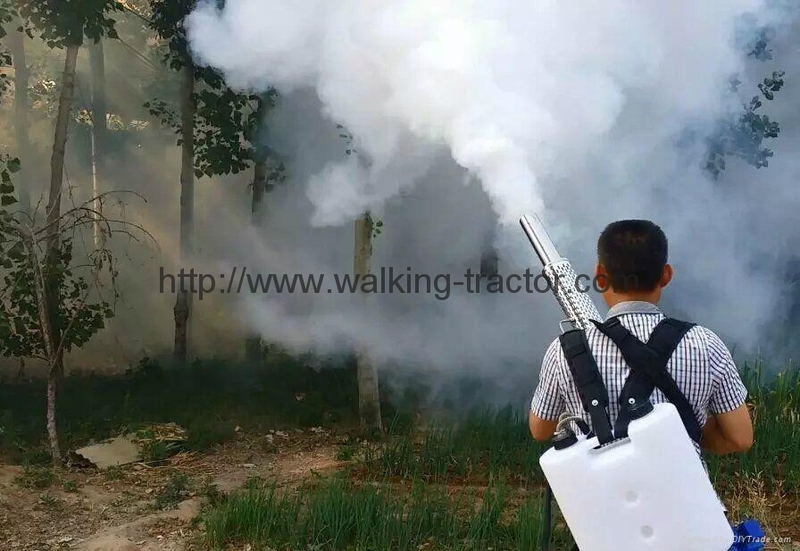 In the appropriate natural weather conditions, hot chemical exhaust smoke machine smoke immediately spread to pests and diseases with fast and efficient role in the killing.